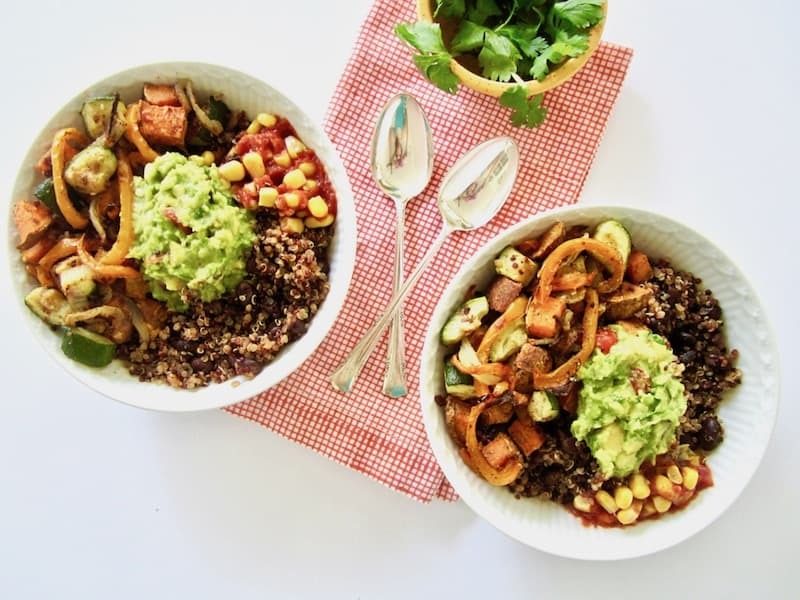 These vegan Southwest Veggie Burrito Bowls are an easy meal your whole family will enjoy! The quinoa and black bean base pack each plate with 13 grams of plant based protein. Top the bowls with homemade guacamole for super fresh flavor. Great for dinner, leftovers and as lunch the next day! Today, I’m bringing you an easy dinner idea. 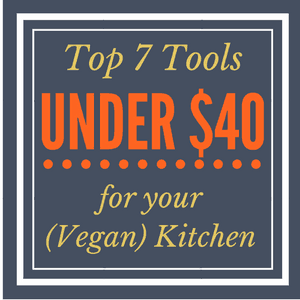 Oftentimes when trying to follow a plant based diet, people say that dinner is the hardest meal to transition out of meat, dairy and eggs, so I wanted to give you a template of what you can eat on an average night – nothing fancy here! 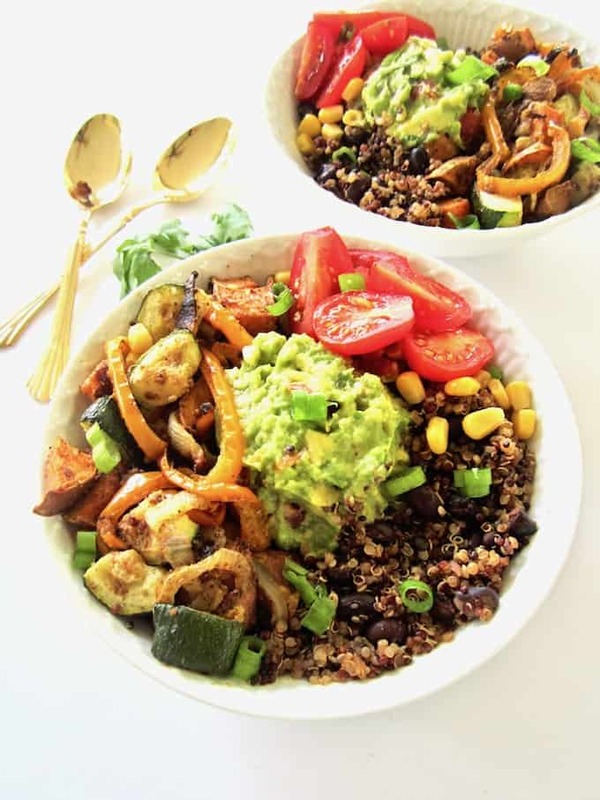 So my friends, I’ve got a yummy recipe for you today with these Southwest Veggie Burrito Bowls! 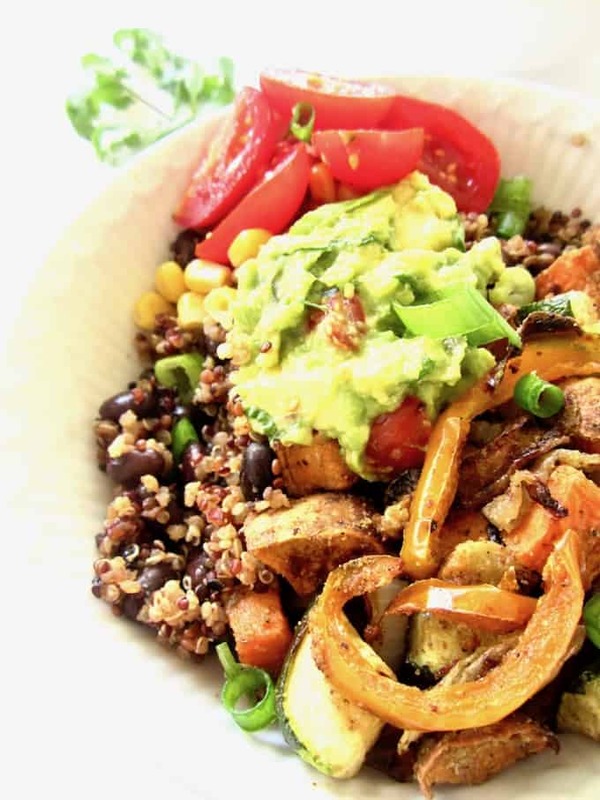 Cook up some quinoa (easy), toss in black beans from the can (easy), roast some veggies and put it all together in a bowl (easy). Top with corn, cherry tomatoes or salsa, and sliced avocado or guacamole – and you’ve got yourself a filling, flavorful meal with 13 grams of protein per serving. The guacamole is my favorite part; it’s the recipe my family always uses when we make big batches of guac (one of our favorite appetizers when we get together)! 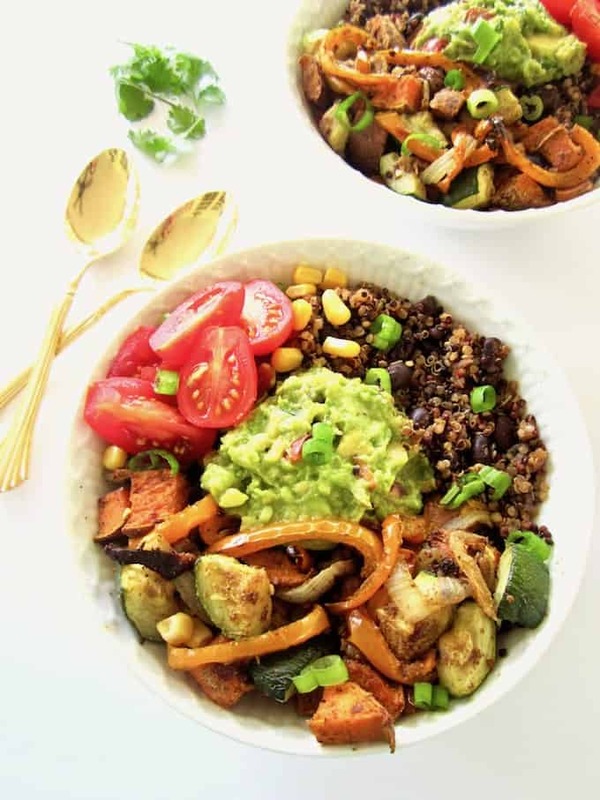 These veggie burrito bowls represent a typical style of dinner for me – roasted, steamed or sauted vegetables; a protein (in this case beans and quinoa, other times tofu, tempeh, lentils, nuts/seeds) and then some fun toppings. Sometimes I’ll add a grain like brown rice or pasta, and there you have it! Dinner, done. You don’t even need a recipe! 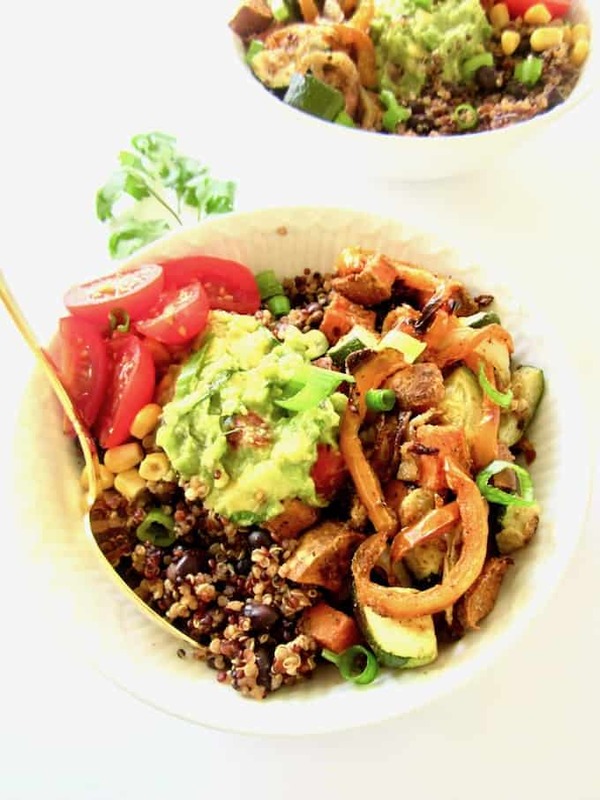 The recipe may look like a lot of ingredients at first but a lot of it is just seasoning, and you can choose whether you want to go for it with the homemade guacamole or if you prefer a store bought version, sliced avocado or omitting that topping altogether. The point is – make this your own, and enjoy! These is an easy vegan meal your whole family will enjoy! The quinoa and black bean base pack each plate with 13 grams of plant based protein. Top the bowls with homemade guacamole for super fresh flavor. Great for dinner, leftovers and as lunch the next day! Preheat the oven to 425 F / 218 C.
On a baking sheet, combine all ingredients under ‘vegetable mixture’ together except the zucchini. Spread evenly onto the sheet and bake for 10 minutes. After 10 minutes, add the zucchini and stir. Bake an additional 15 - 20 minutes until vegetables are tender and roasted. Meanwhile, in a medium saucepan, bring water and seasonings (garlic powder, chili powder and salt) to a boil. Stir in quinoa, cover and simmer over low heat for 15 minutes. Once the quinoa is cooked, add in the black beans to the pot. Turn off the heat, replace the lid and let sit for 5 minutes to warm the beans. Fluff the black bean/quinoa mixture with a fork. FOR THE GUACAMOLE: Combine all ingredients and mash together with a fork until you reach your desired consistency (mash less for chunkier guacamole, or more for a smoother texture). 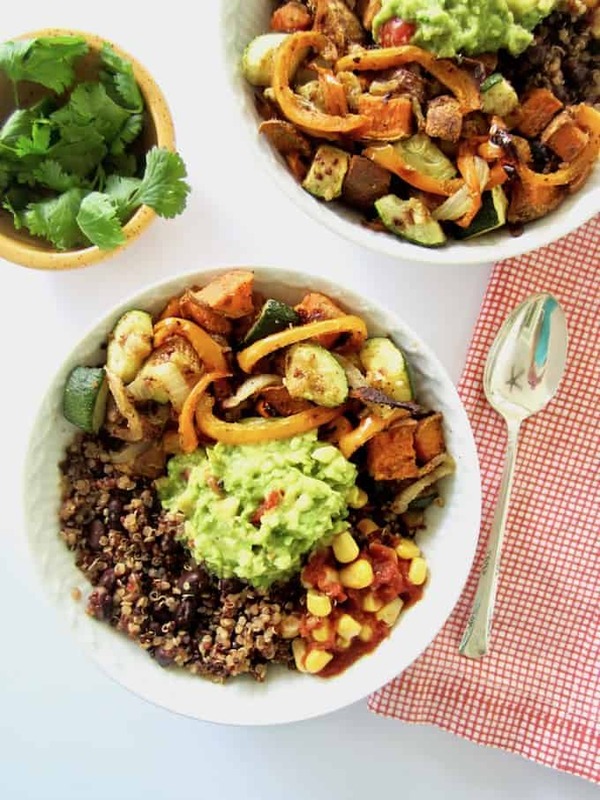 ASSEMBLE: Layer the quinoa and black beans in a bowl and top with the vegetable mixture. Add desired toppings! This is my kind of dish, Sarah! Can't wait to prepare it. Can I use regular rather than cherry tomatoes? That's great to hear Agness! :) Absolutely - regular tomatoes will be just fine. :) Enjoy! Oh my gosh, this looks so good! I can't wait to try it. I love these flavor combos! Yum! My favorite foods all in one place! This is perfect! I just bought an insane amount of avocados (thank goodness they were on sale!) and was just thinking what I was going to eat them with. This is a great idea since I don't have any tortillas at home and I don't feel like going to the store again. Can't wait to try it! What perfect timing! I'm a total avocado lover. <3 Hope you loved it! I could honestly eat this every single day and not get tired of it. I'm a Mexican food fanatic and this looks amazing!